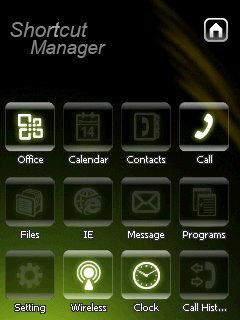 Gsmart today plugin freeware for Windows Mobile Phone. Summary: Gsmart is a new finger friendly today screen interface, very smooth design, fast response, highly customizable ! 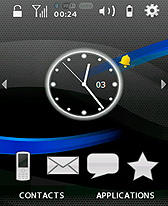 Gsmart is a new finger friendly today screen interface with nice design. Its easy to operate with, reacts almost instantly without any lags. There are customizable bar with icons at the bottom with gives you an access to any feature of your device. The Analog and digital clock could be slided horizontally to change. 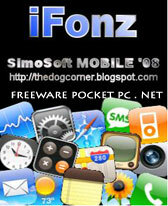 The icon wallpaper could be also changed with a custom one by just editing a simple XML file. Gsmart can be installed on the storage card ! how do you uninstall if the Start button has disappeared? it looks great but its only on like an 8th of my screen.. so every thing is extreamly small.. i have the htc tilt 2..?? setting doesnt work on lgks20 wm6.1, rest is fine! works great on htc tytn2 accept for the programs icon, it doesnt work neither does the settings iconeverything else is perfect! Great look on my LGKS20 . 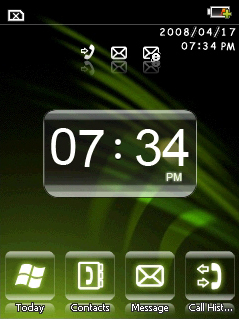 I will redownload it if I change to other wm mobile , before I uses wm6 pro HTC Touch , thanks you! can't uninstall it now...Start icon wont work anymore...how do I uninstall it? Me gusto mucho este programa. Thanks. 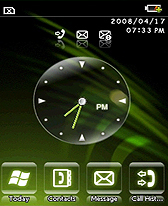 gsmart setting does not work on my htc p3300.how??? Tried installing on Palm Pro, only launched on 3/4 of the screen.